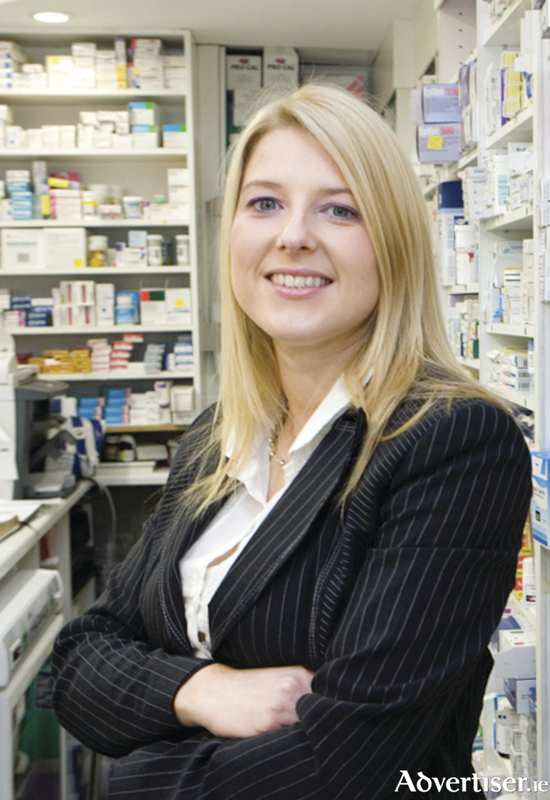 Pharmacist Audrey Kinahan of University Late Night Pharmacy. Audrey Kinahan, who with her team of pharmacists will be working over Christmas including St Stephen’s Day and New Year’s Day, explained that the first symptom of a cold is usually a sore throat. This is followed by symptoms such as sneezing or a blocked or runny nose. These symptoms are usually at their worst for the first three days before most people start to improve. About one in three people with a cold will experience a cough. While most other symptoms will clear after seven days in some cases the associated cough can last for up to three weeks. Audrey Kinahan had some simple tips on how to cope with symptoms of the common cold. Wash your hands regularly: Using warm water and soap, wash your hands for at least 20 seconds. Rinse well and dry your hands with a clean or disposable towel. Drink plenty of water. Try to get enough sleep and eat healthily. Ask your pharmacist for advice: There are lots of medicines available which will give fast relief of common symptoms. Your pharmacist will be able to advise you on medicines suitable for your symptoms. Pain relievers such as paracetamol and ibuprofen can be useful for fever and headaches. A suitable nasal decongestant can help unblock a stuffy nose. There are a variety of cough medicines available to treat dry, tickly, coughs or productive coughs. Anaesthetic throat sprays and lozenges can ease sore throat. However care is advised when drinking hot drinks afterwards as you may not notice the burning effect while the local anaesthetic is working.